Welcome to Capri by the Gulf! 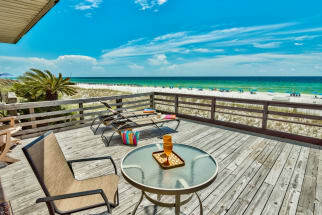 Vacation properties for rent in Capri by the Gulf are located on Scenic Gulf Drive West in Destin Florida! Make yourself at home in one of the 24 air-conditioned rooms featuring kitchens with refrigerators and microwaves! You will find that each room has a private balcony for you to enjoy! Conveniences include coffee/tea makers and irons/ironing boards. Capri by the Gulf condominiums will make sure you have everything you need to have a perfect stay! 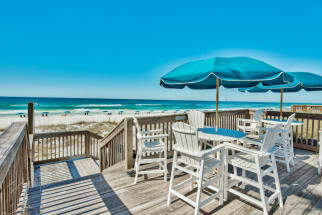 Staying at Capri by the Gulf means you are putting yourself around everything Destin has to offer! We know you will have a fun-filled vacation because of all the entertainment the surrounds you. Some of the most popular places for the whole family are, The Big Kahuna Water Park, The HarbourWalk Village, The Track, and much, much, more! Take a break from the beach and take the family to The Big Kahuna Water Park on one of Destin's hot days! There you will find as many water slides as you can imagine, for all ages, and wave pools for everyone to enjoy! Don't forget to stop by one of the many different, delicious restaurants you will pass on your way back to Capri by the Gulf! How to Book Capri by the Gulf Condos? Thank you for visiting Emerald Coast By Owner for all your vacation needs! Make sure to contact the owner today if you are interested in staying in the Capri by the Gulf Condominiums. You can use the Email Owner button or phone number on each listing. Some listings will also contain an Online Booking calendar which will allow you to book the property directly from the listing.